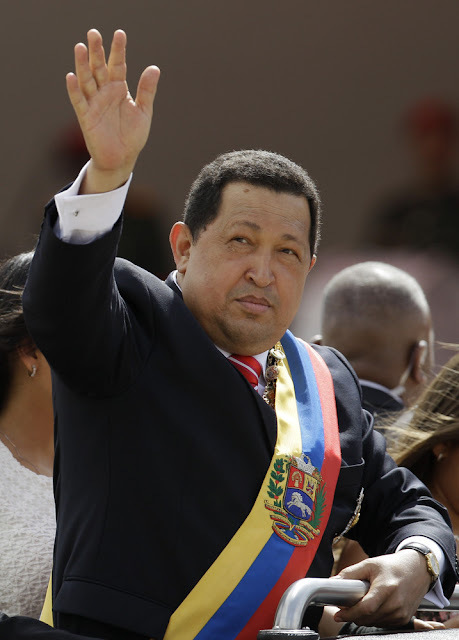 Village View Post: Hugo Chavez, Dead At 58 - What's Next For Venezuela? Hugo Chavez, Dead At 58 - What's Next For Venezuela? President Hugo Chavez, the fiery leader who declared a socialist revolution in Venezuela, crusaded against U.S. influence and championed a leftist revival across Latin America, died Tuesday, March 5, 2013 at age 58 after a nearly two-year bout with cancer. Vice President Nicolas Maduro, announced the death during a national television broadcast. He said Chavez died at 4:25 p.m. local time. During more than 14 years in office, Chavez routinely challenged the status quo at home and internationally. He polarized Venezuelans with his confrontational and domineering style, yet was also a masterful communicator and strategist who tapped into Venezuelan nationalism to win broad support, particularly among the poor. Chavez championed democracy and human rights early in his reign, though ultimately he didn't follow through on nearly as much as most would have liked. He nationalized a number of industries including oil companies, and used the profits to help the poor of his country and to provide more access to health care. However, what cannot be ignored is that at the same time, murder in Venezuela increased dramatically, as did police corruption. Chavez had some good ideas, but in the end he hated the idea of democracy and punished and squelched the ideas and rights of others who believed in it. Throughout his presidency, Venezuela’s economy was plagued by blackouts, food shortages and a lack of investment, as government interventions, from price controls to the seizures of land and companies, squelched private enterprise. New elections has been announced in 30 day and it will be interesting to see if democracy with Constitutional protections afforded to everyone will occur in Venezuela.